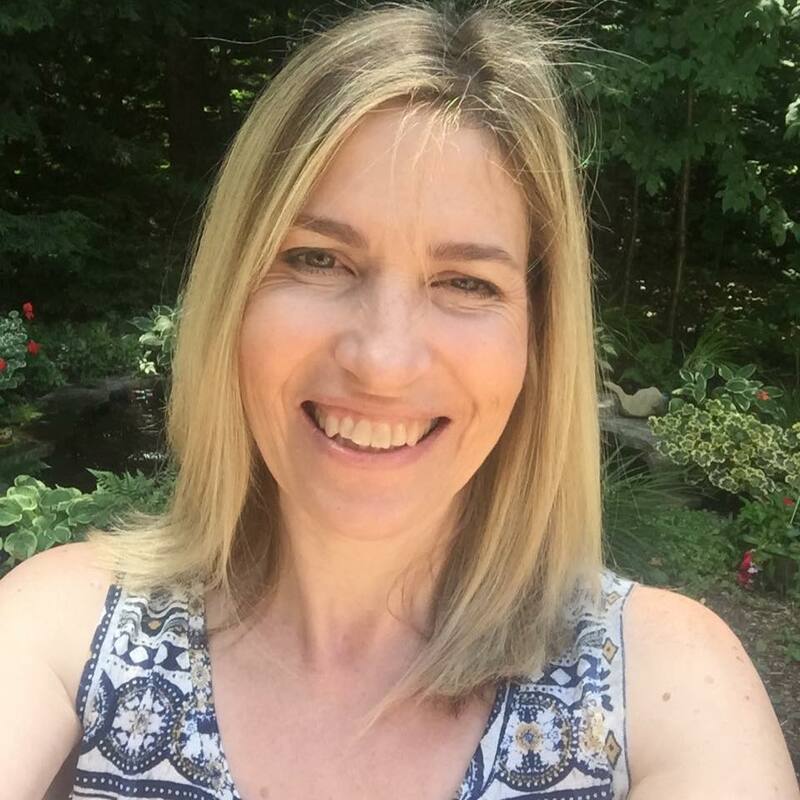 As many of you will know, Moxie Fab World's Cath Edvalson (Trends Editor of Paper Crafts) won't be able to attend CHA this week due to a nasty pain in one of her shoulders. 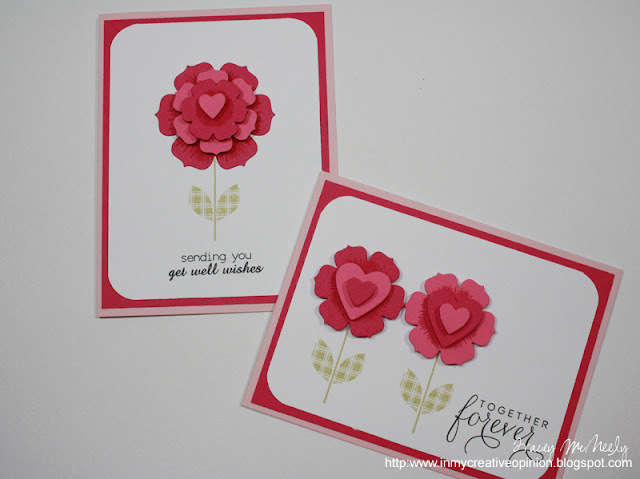 So... to cheer her up and thank her for "bringing" all of us to CHA with her during these past years, I thought we could surprise her with a blog hop. Our hosts and masterminds behind the event are the wonderfully talented crafters Lorena Canto and Virginia Lu. 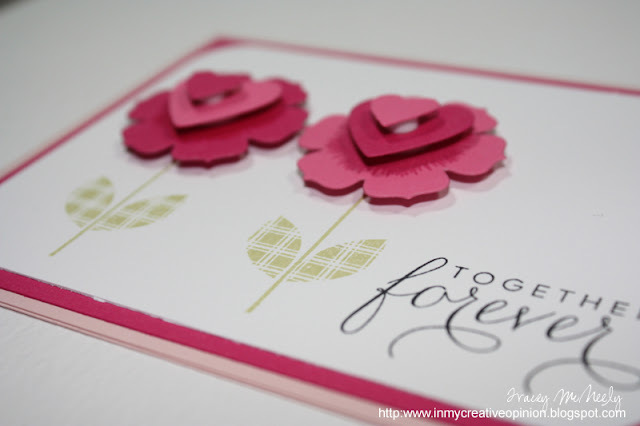 If you would like to participate and send some love Cath's way you will find the details and link for the Blog Hop HERE. 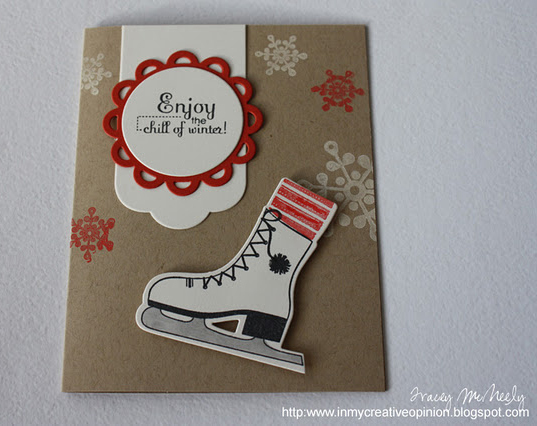 My card is inspired from a card I created and then recreated for the January PaperTrey Ink Blog Hop. 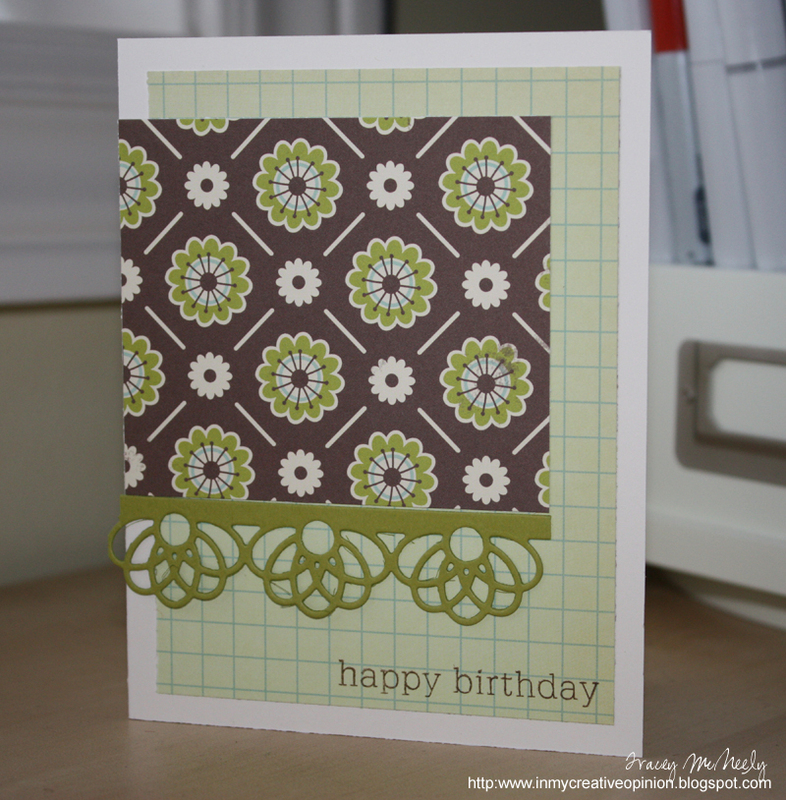 I am also entering this card for the Play Date Cafe Challenge PDCC116 this week. Here is wishing you a speedy recovery Cath. 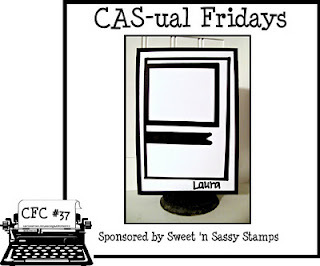 This weeks CAS-ual Friday challenge is sponsored by Sweet 'n Sassy Stamps. I was brave this week and cut in one of my coveted pieces of designer paper from October Afternoon. I had this one ready to post last week, so here it is today. 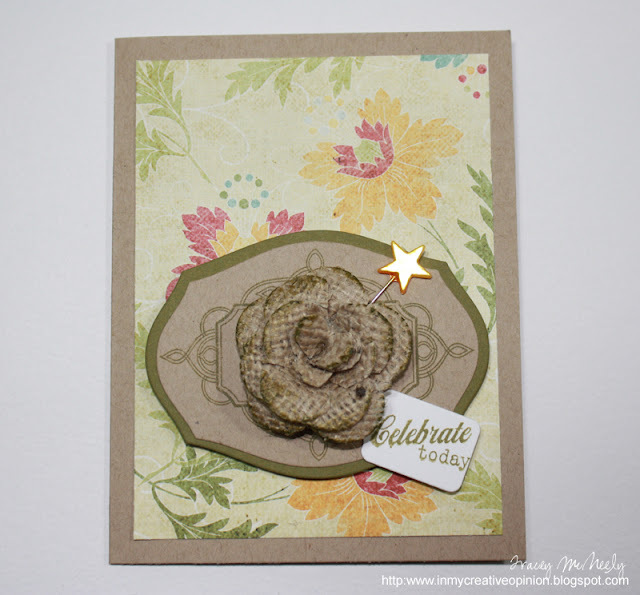 Day 6, hosted by Kristina Werner, was about creating simple embellishments for your CAS cards. 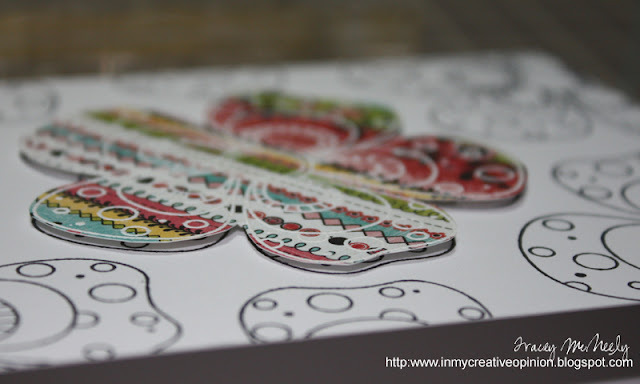 I have had this Heart Winged Butterfly from hero Arts for a few years and thought it was the perfect time to dust it off and create a black embossed butterfly. 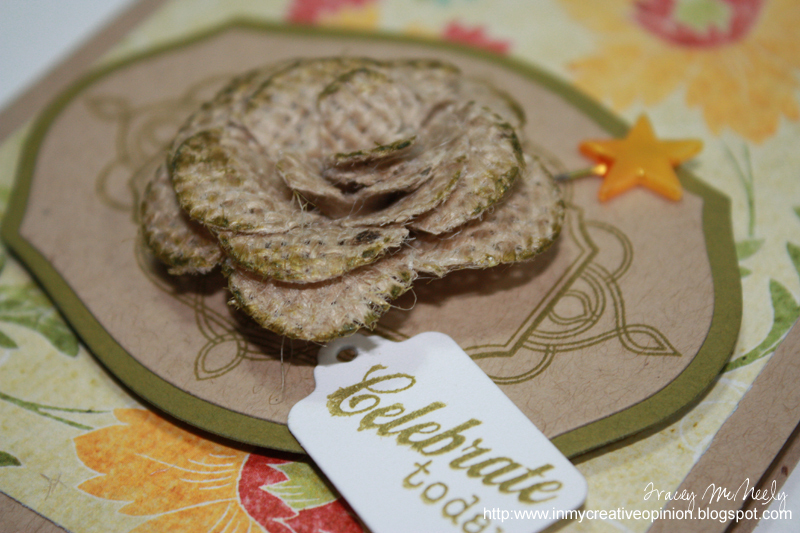 There are so many ways to create your own simple embellishments. I made a second card for this weeks MIM using some of the pieces I created when putting my first card together. This one tones the colours down a bit using a white layered background. I also made the shaker a bit different. I made a deeper shaker box as was done on a few of the cards in the inLinkz list this week. I made my shaker a 1 3/4" round with a 1/4" inside border. This allows the beads to move freely. My window is a tiny heart but the actual shaker is bigger. Heather's Make It Monday video tutorial revised the classic technique of making a shaker card, but with a new twist. Shaker cards of the past were no simple task cutting your own shapes and using the right amount of foam tape to keep the goodies inside the shaker. Now thanks to so many die cut shapes readily available, fun foam the Xyron and glue pads shakers can be put together in no time at all. 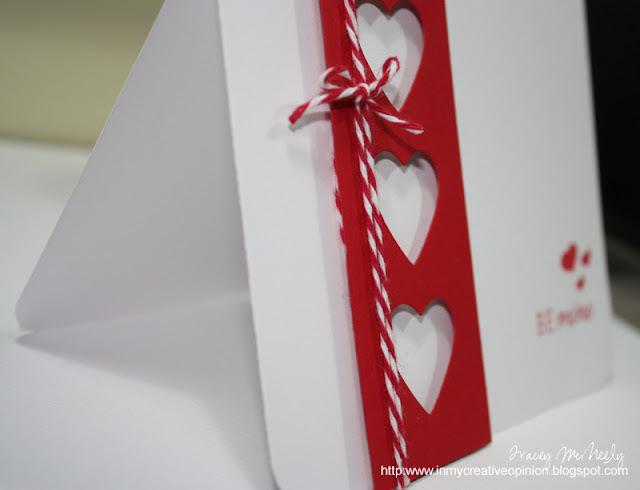 For my card I created a 4 1/4" x 4 1/4" card base and using the Mat Stack 1 Layers Mat Stack 1 and the Heart Prints dies I made a shaker. The inside of the shaker was stamped with the small outline circles from Background Basics: Circles and the Mat Stack was stamped with the regular sized outline circles from the same set. Both were stamped in Raspberry Fizz. 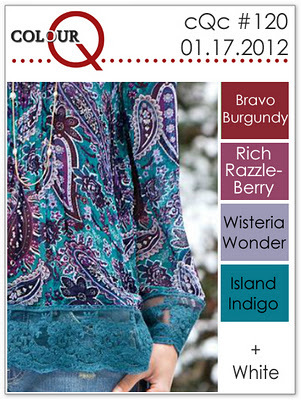 This weeks colourQ palette was so gorgeous. As soon as I saw it I knew exactly what I wanted to do, until I did it! Does that ever happen to you? You make a card and then look at it and start second guessing yourself. That is exactly what happened to me. I made a card that was exactly as I planned but then I decided to start again. That was on Tuesday. Here it is Friday evening, I missed the 25 minutes of sunshine today for my perfect photo because I couldn't decide if I liked the stem stamped directly on the card or stamped onto the die cut stem and adhered to the card. The second option won. Here is my card for this week, but if you want to see the rest of the story keep reading along in this post. 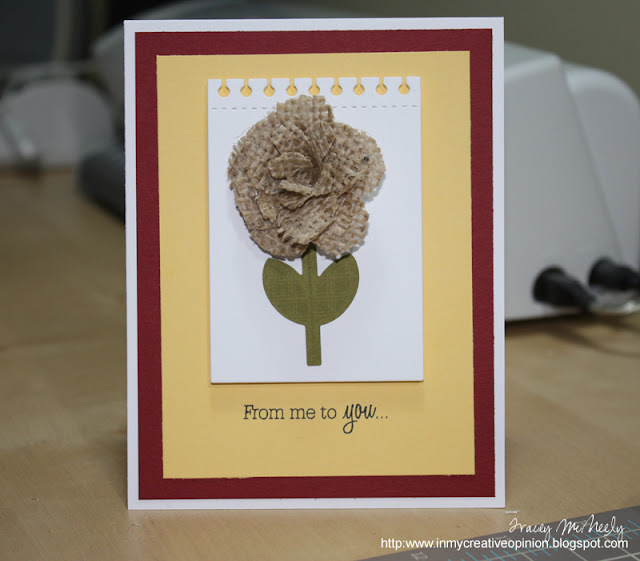 I created the burlap flower after watching this video on You Tube by Lorinda. 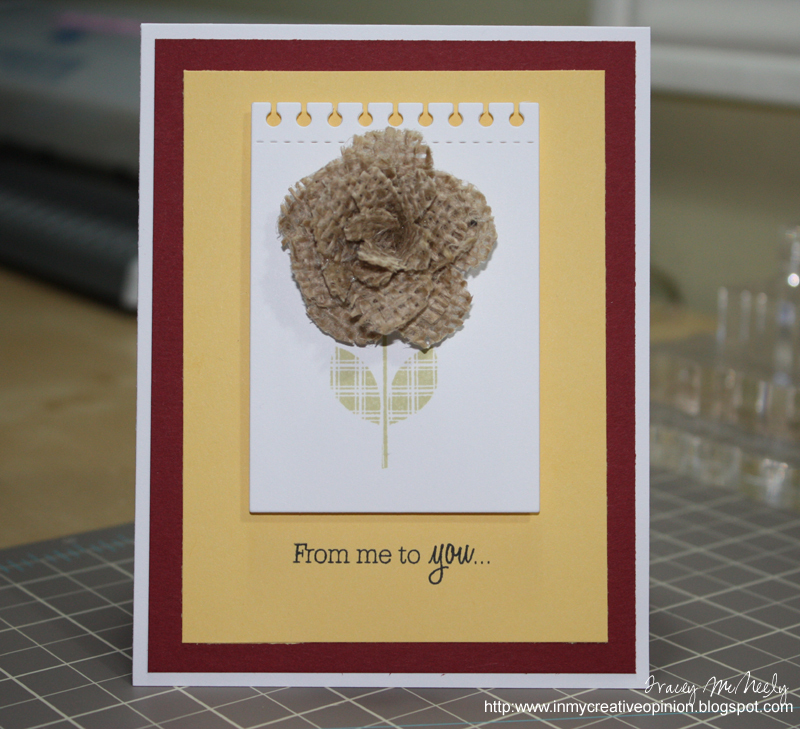 I use Papertrey's Friendly Flower Die. It actually came together pretty easily. 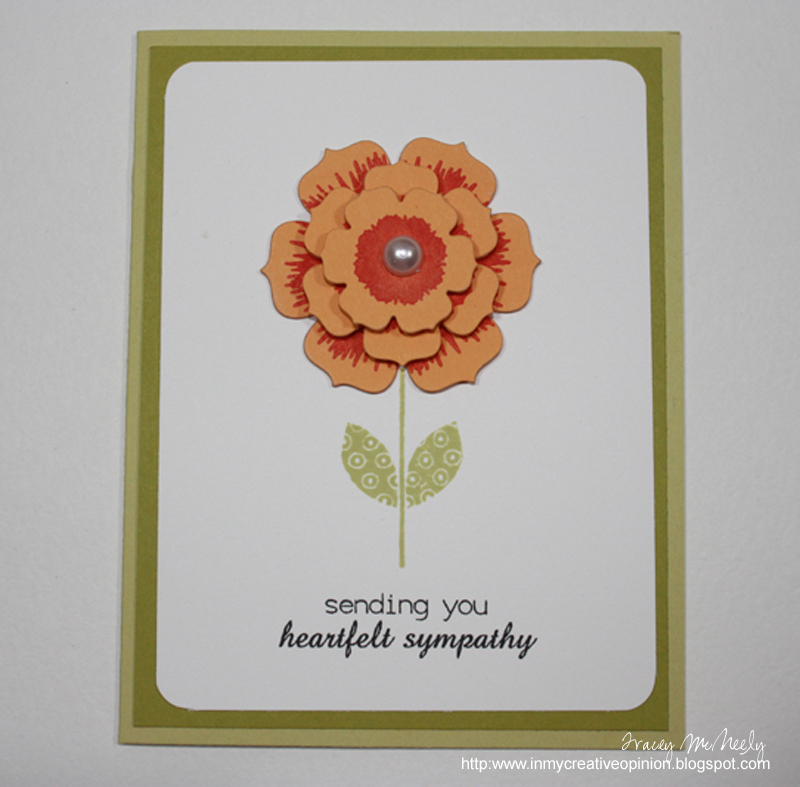 For my final selection I wasn't sure whether to go with the stem stamped on the white, or the stem stamped on a card stock die cut. Both are lovely but the plaid stem stamp showed up better on the white. Ultimately, the card stock stem popped out more on the card. It could be on white as a feminine card or on card stock for a more masculine card. What do you think? 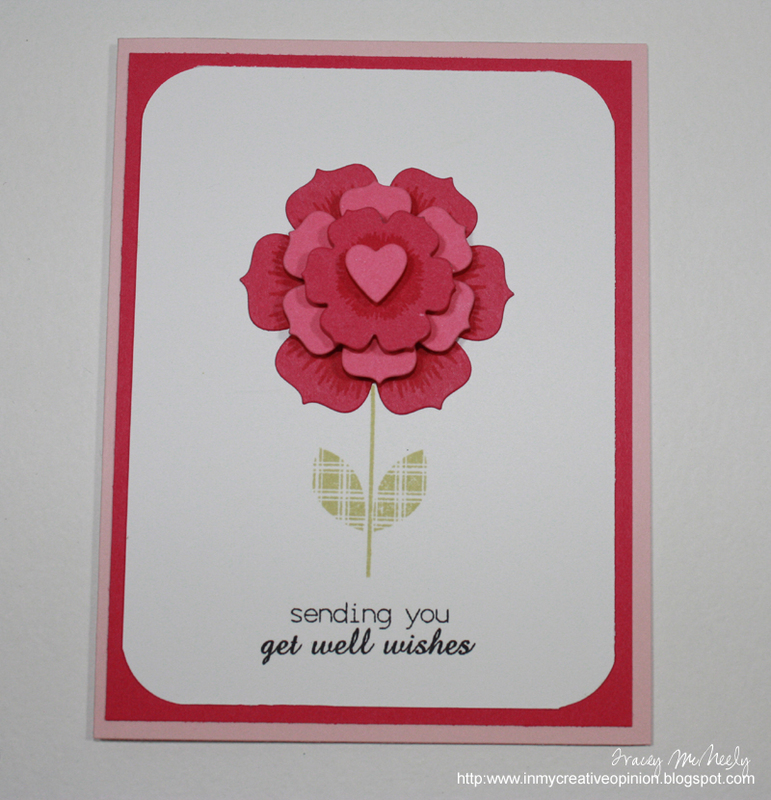 This is the card originally created for this week. The designer paper I have had for a few years. It is from Bo Bunny's Anna Sophia line. Once assembled it was a lovely card, but the colours were a bit to muted for me. I did really love the Mat Stack 1 die cut stamped with the Mat Stack 1 frame. I added a bit of Ripe Avocado ink to the flower to make it stand out, but it was a bit too much. 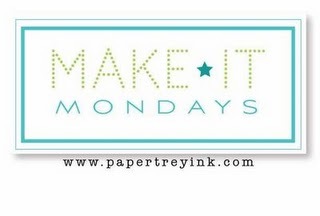 Its time again for another Papertrey Ink blog hop. Wow this month has gone fast. 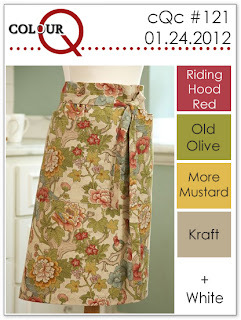 The challenge this month was to pick our favourite project from 2011 and share it as well as to take inspiration from that project and create something new. I went through my cards and posts and reflected on the past year and pulled two cards that I created for the Papertrey Blog Hop on May 25 2011. See the original post HERE. 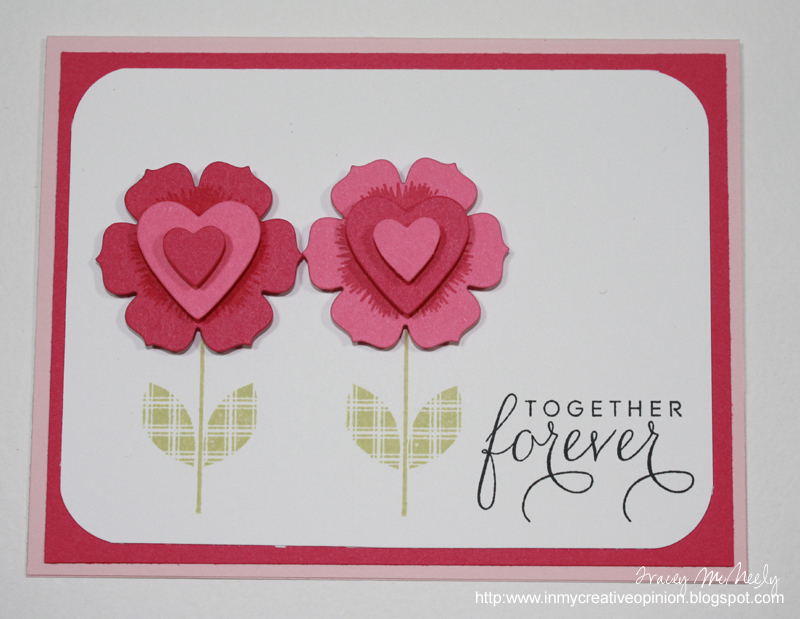 I decided to put a Valentines spin on my new cards--I love pink. The next two cards are my original cards from the May Blog Hop. 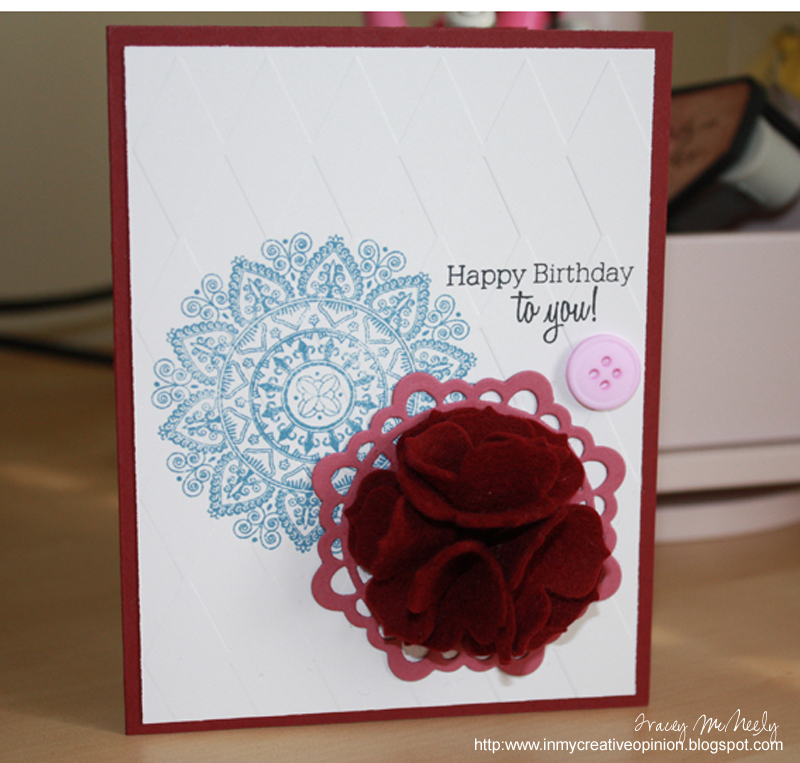 I chose Sweet Blush, Raspberry Fizz and Hibiscus Burst from Papertrey for my colour palette. Each layer is bumped up with foam dots--loving these lately. 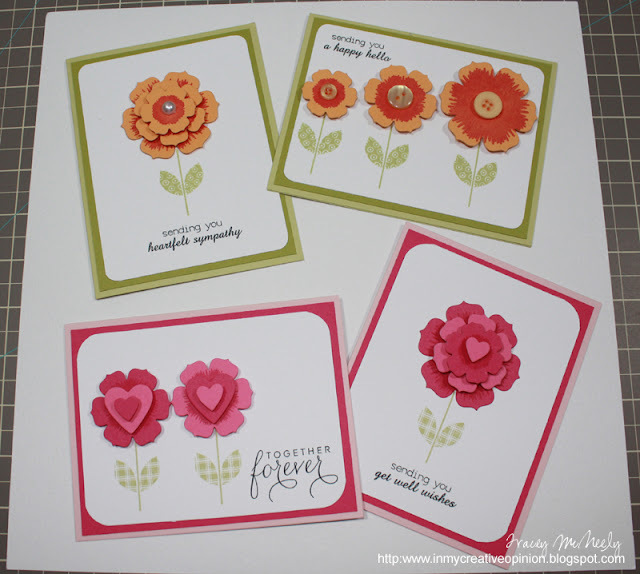 When I was making this next card I had the flower with the Hibiscus Burst Flowers on the left (outside) of the card. It didn't look quite right and I started thinking that I had the colours wrong--Raspberry Fizz and Hibiscus Burst are very close. My 17 year old son is a very good artist and has a very keen eye for design. He was walking by and I asked him to look at my card and discussed that maybe the colours weren't right. 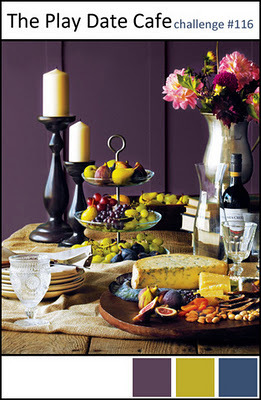 He looked and was very quiet, then swapped the Hibiscus Burst and Raspberry Fizz flowers and then it just looked right! He said now it had radial perspective. Off he went, love that kid. I can't forget what my daughter completed for geography Monday night. We are at the end of semester 1 and heading into exams. So stress levels are high, especially for her as this is her first run at exams. 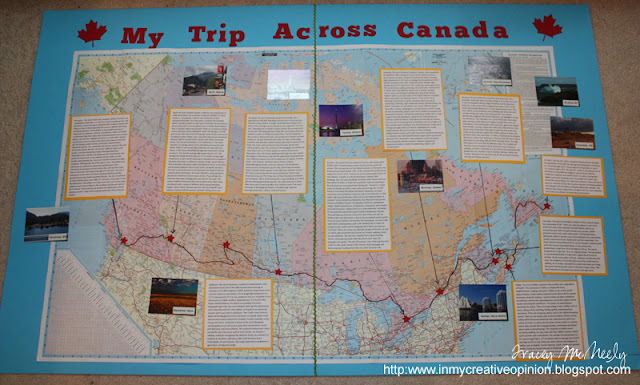 So her ISU was to create a trip across Canada. We have done this trip over two trips so she had a lot of personal input. A job well done. 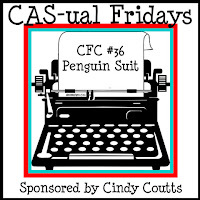 This weeks CAS-ual Friday challenge is called Penguin Suit in honour of Penguin Awareness Day on January 20th. 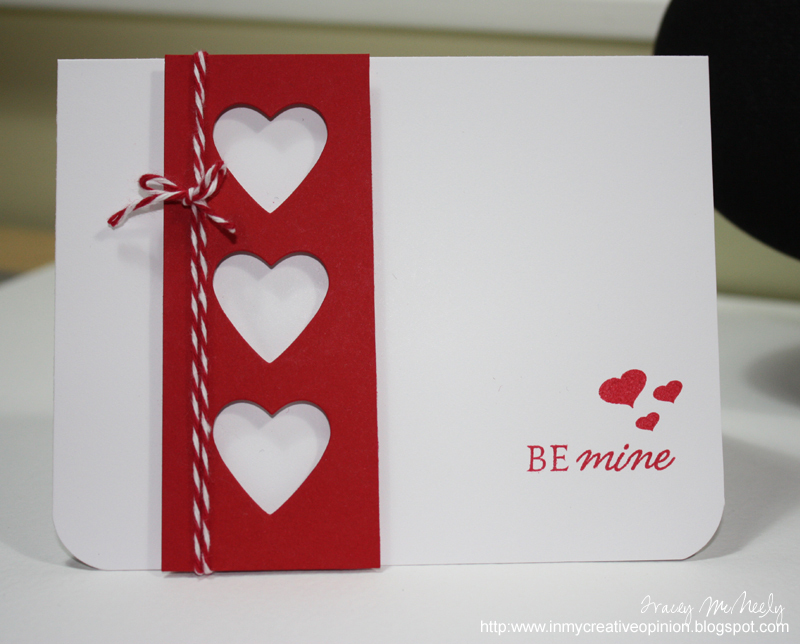 The challenge is to create a Clean & Simple card that ONLY uses black and white. Although it is way past my bedtime I pulled together a thank you card that is sure to come in handy. Simple layers all divided by foam dots. The Day 4 topic was 'One Stamp, 3 Ways' which really translates into finding more uses for stamps we already have. Also getting a better return on our investments. A number of techniques and ideas were presented and I decided to use my stamp set as a background, a die cut and an embossed image. I did not include a sentiment on this card as when the time comes to use this card I can add a sentiment stamped on a tag or die cut or even inside the card. 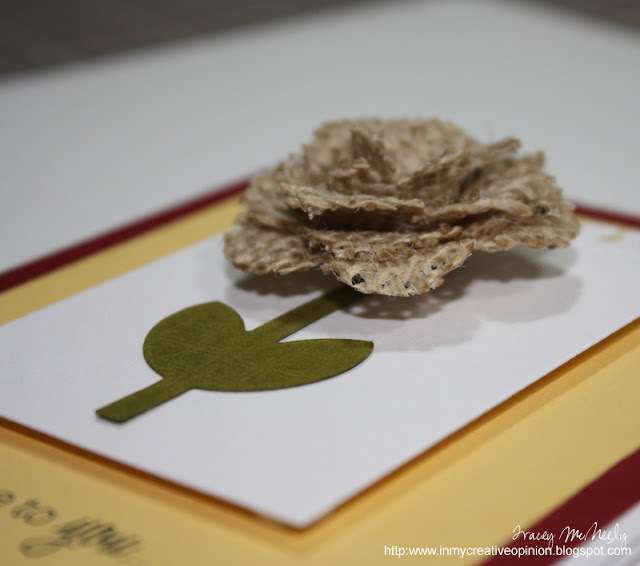 The Day 3 class at Clean & Simple Cards was "Inspiration Made Simple". The idea is where do we find inspiration for creating. The answer is simple, we are surrounded by inspiration everyday. Our hosts were Jennifer McGuire and Julie Ebersole with guest designer Tami Hartley. I passed on creating a new card for this class because I just went through this process before Christmas. 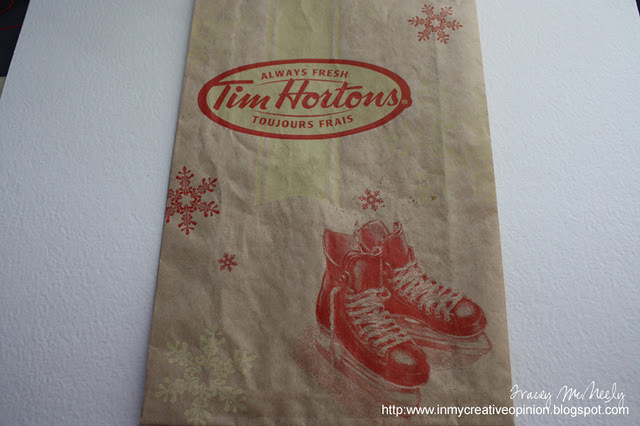 So today I am sharing previously posted projects.About a year ago before Christmas I was picking up my morning coffee at Tim's Hortons and my muffin came in this bag. 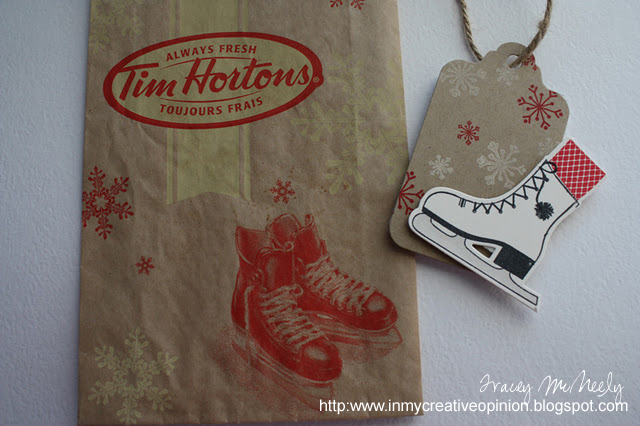 as soon as I saw the bag the colours and the ice skate inspired me. I created a card based on this bag. You can find the original post HERE. Then during December 2011 I used that card as inspiration to create a new tag modifying the ink and stamps slightly. It has taken me a long time to figure out my own personal creative style. I went for a period of time flipping around different styles trying to figure out how I would describe myself. It has only been in the last 6 months that I can say with confidence that my style is Clean & Simple. Although I am gaga over yummy layers, papers and embellishments I am not happy with my projects if they feel 'cluttered'. A form of claustrophobia that I experience in life--clutter makes me uncomfortable. This week's colour palette at colourQ was very unique. At first I was unsure how I would tackle the challenge but I stuck to my process and after filing one idea after another I found my formula. 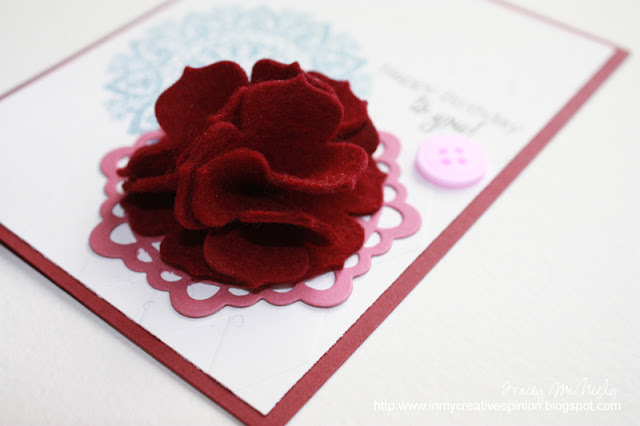 My process is simple, I pull out cardstock that I have in the palette colours, add ink and designer papers that I have on hand then add the embellishments to my pile--ribbon, buttons, die cuts, felt, flowers, floss, etc. My original plan was to use all of the colours of my cardstock and some co-ordinating desginer paper from Basic Grey's Eskimo Kisses. I drew some sketches and I just couldn't wrap my head around any one design. Then it hit me that first, I didn't like the cardstocks all together as a group and second, the dp was was not working for me. The project was going to look cluttered. 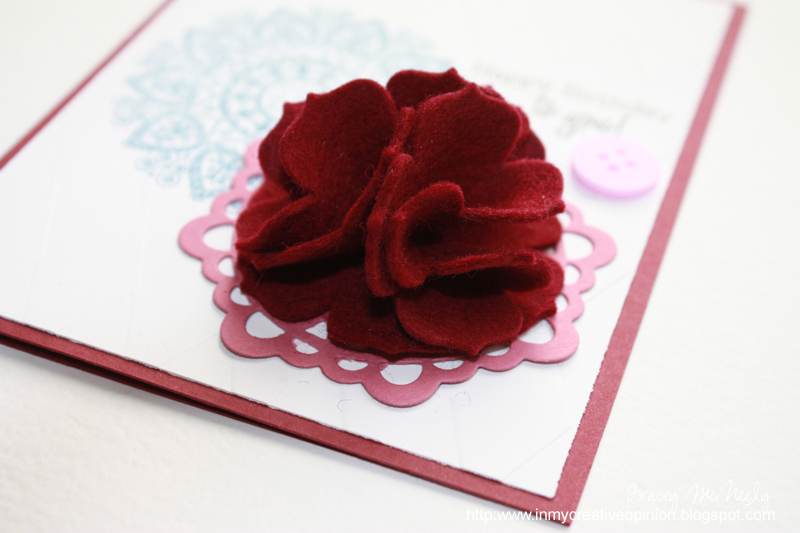 Scrap the dp, ditch one cardstock for ink and ditch another cardstock for a button and then the weight was lifted and the card came together in no time at all. I started with my card base of PTI Scarlet Jewel. 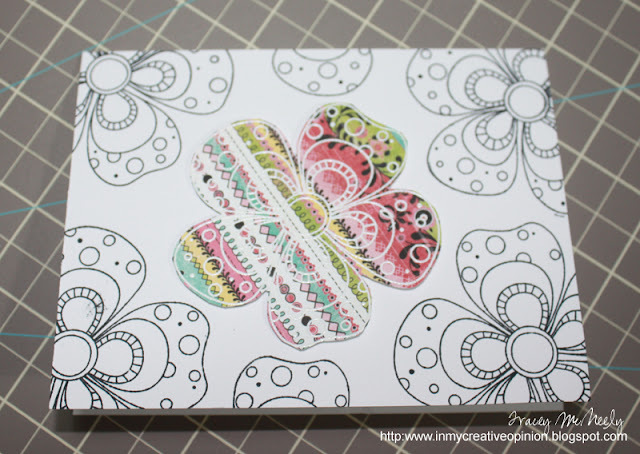 I cut a white panel which I stamped on and then ran the white panel through my Cuttlebug with a QuicKutz embosing folder. Then I die cut a doily out of PTI Autumn Rose. My original design had a flower that I was going to make out of ribbon that I had, except even though the ribbon I have is the right colour, its the wrong type. So plan b was to make a different bloom which I did out of PTI Scarlett Jewel felt and PTI Beautiful Blooms II dies. I cut four pieces--1 for a base and three that I folded into quarters, stitched and secured to the base. The final touch was to add the PTI Lavender Moon button. The button was threaded with twine one way, then another and then I decided that the four-hole button didn't need any styling so with a glue dot it went on. I ended up so happy in the end with a card that I was sure I wasn't going to like. 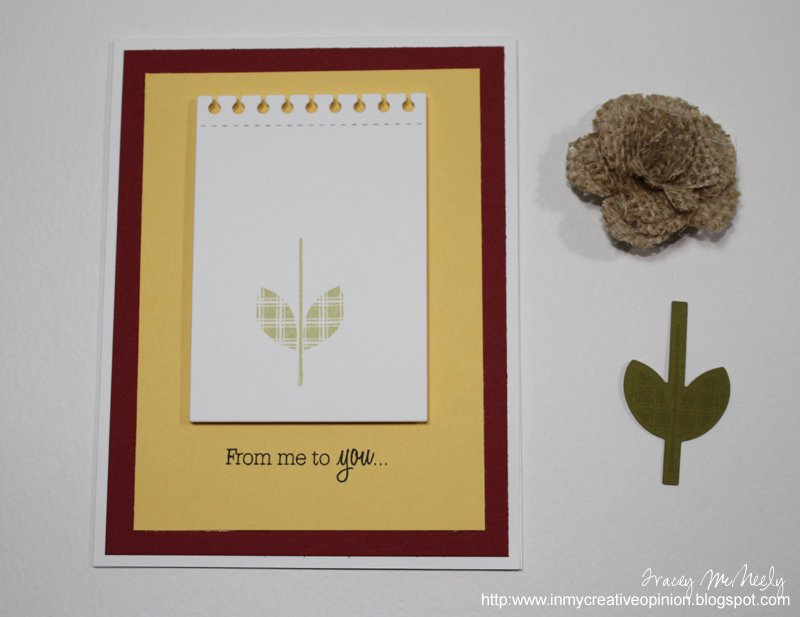 Day 2 of Clean & Simple Cards was to create a One Layer Card or Perfectly Flat Card. In my early years of card making those were the only kind of cards I made. I had forgotten the simplicity of a OLC, of course cards of the past lacked the amazing colours of cards today. 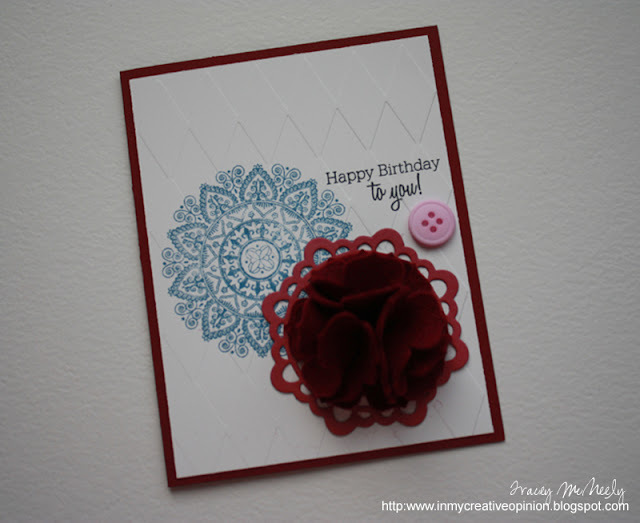 I broke out my Mehndi Medallion to create my card, I stamped it once in Broken China, masked it with a 2 1/2" circle and stamped again in Faded Jeans both Ranger Distress Inks. 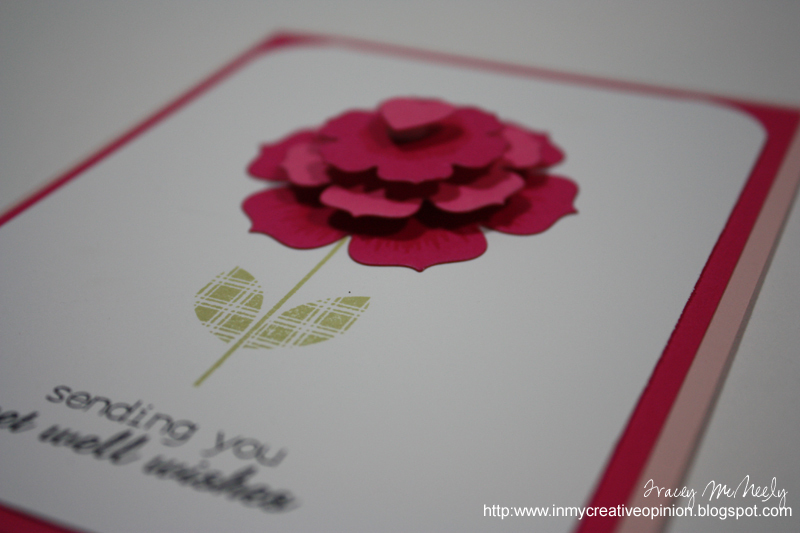 I finished it off with a simple 'Merci', you can never have enough thank you cards. Maile Belles was the guest designer on Day 1 of Clean & Simple Card Making, she really is the queen of Clean & Simple. 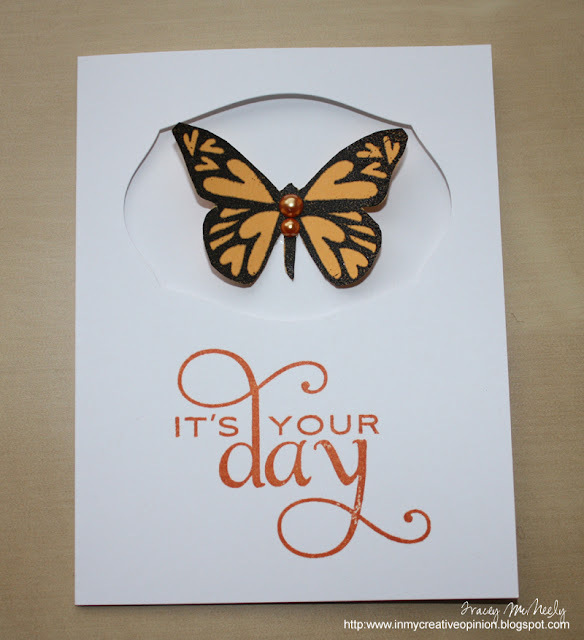 She introduced using the negative of a die cut to create a CAS card. Her card used a word but I used hearts for my card. 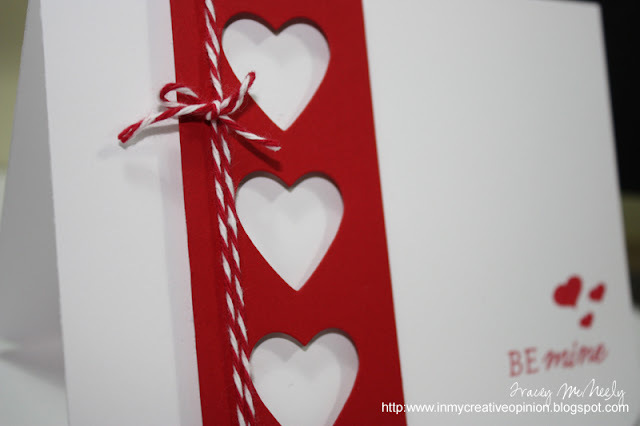 I die cut three medium hearts on a strip of Pure Poppy cardstock, tied bakers twine around the die cut and adhered to the card with foam dots.